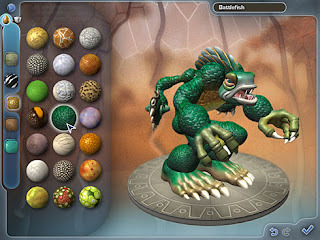 Monsters and other virtual creations that entertain us now are available in Electronic Arts Inc's creature-building game "Spore" that offers players a chance to develop new worlds. The new game, which lets players guide the evolution of their creatures, is from Will Wright, the man behind the Sims series of games. The Sims let players guide virtual people and cities, spawning spin-offs, sequels and expansion packs to the tune of more than 100 million units sold worldwide. Billy Pidgeon, video game analyst for IDC, believes "Spore" is a going to be huge globally, eventually eclipsing the Sims. He says - "This title has billion-dollar potential,”. He expects spin-off games and a host of fan-oriented websites and products, such as custom T-shirts of players' creatures that should boost the value of the game. Already players trying out early releases are sharing their creatures, adding complexity to the game at no expense to EA. 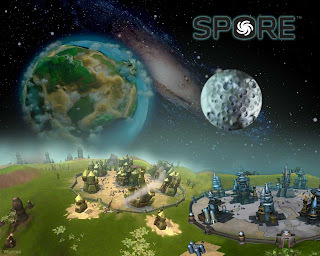 Gamers have been waiting five years to get their hands on "Spore," which will finally launch in North America on September 7, and EA has spent $50 million to develop it, estimated Michael Pachter, video game analyst for Wedbush Morgan Securities. Pachter estimates EA will ship 3 million copies of "Spore" at $120 million wholesale, and expects it to sell through 2 million this year. With a break-even point of 1.7 million units, EA should be well on its way to a strong new franchise. He says - "Economically, it's not that big of a deal this year, since it cost so much to make, but they made a big bet that this game would pay dividends for years, so they care a lot,".